in an effort to help communities near the TWEF Empowerment Center that are within a USDA’s designated “food desert” and provide fresh produce to residents who otherwise have to drive more than four miles round trip to the closest grocery store. Beats & Beets is a lively garden party in the city promoting STEM and Agriculture education. 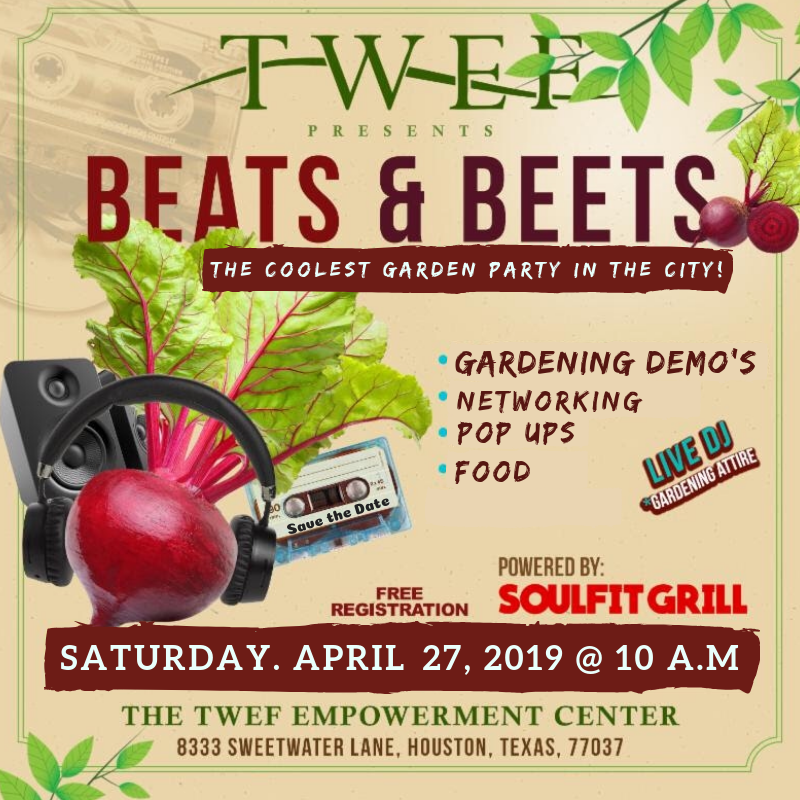 Beats & Beets features gardening demos, planting, networking, local vendors, and live music.